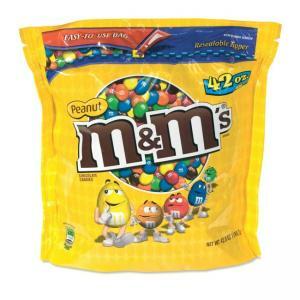 Peanut M&Ms offer a delicious treat for boardroom or breakroom. Enjoy chocolate filling and peanuts inside crisp, colorful sugar shells. Resealable zipper on bag keeps them fresh.